Hello, Friends, Today I am going to compare two biggest Site builder on the internet. One of them is Wix and another is Shopify. I am just comparing them in different aspects. some site has low pricing or other has more features. First Let me tell you about these sites. These type of site helps you to create a stunning e-commerce site without any creativity. There are different plans, offers, tools provided by them. 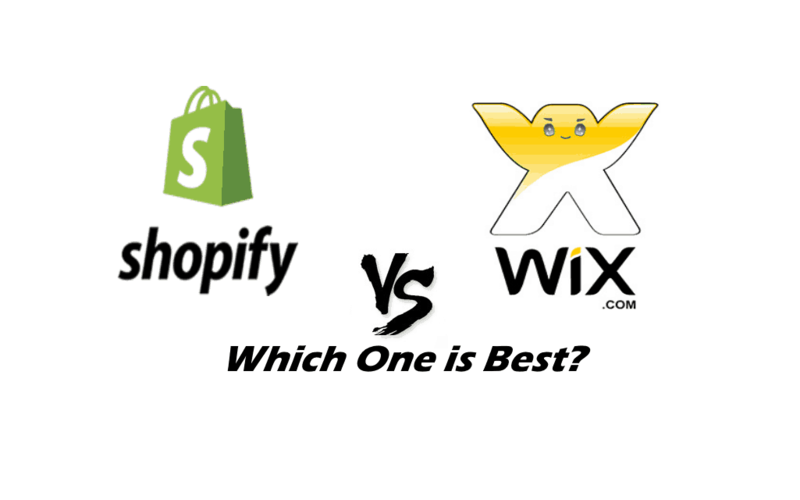 So here is the comparison between Shopify and Wix. In terms of popularity, Shopify is on the top, but WIX also tends to come up in the conversation, In last 3 year, more than 68 million users have used Wix to created there on site. Wix is not working for e-commerce site but it is also working for blogs and all another type of sites. Both sites WIX And Shopify have some cool basic Features. But Shopify outranks WIX In terms of quality pages and clarity of selling products. Shopify Allows you more cool dashboard and more options in the dashboard. More than 70 payment gateway is available on Shopify, including PayPal, Stripe, Authorize.net, and PayMill. WIX is also trying to improve their payment gateways but right now they are far below from Shopify, They have only 17 payment gateways including PayPal, Stripe, Square, Wirecard, Braintree, and Authorize.Net. As you all know Shopify is only on the e-commerce site.So, they have only templates related to the e-commerce site. Shopify themes are good. As you can edit your site template without any coding. opening up the possibility to customize certain sections without having to duplicate the theme, say, on a staging server. While, WIth the help of WIX, you can also create unique templates for blogs as well as your e-commerce site. Both Wix And Shopify is a great platform for blogs. And We all know the importance of blog to increase the sale. And how much a good looking blog is important. The blog is the basis for Seo. And Doing SEO for the blog is easy, fast, and less expensive. Customers can get answers to their question. Another customer may give positive reviews for your product. Both Platforms uses their own custom way to create a blog. There is no big difference between Shopify and Wix in terms of creating a blog. However, Shopify provides better management system. 5. Which One Is Best For Seo? In 2018 it does not matter, how beautiful your blog is. What matters is how good it is performing. 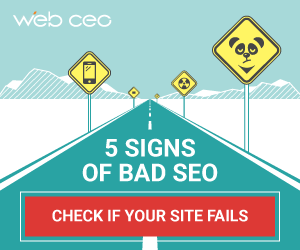 And when we are talking about Seo, then the writing skills matter but the beauty of the theme does not matter. What matters is that your site is SEO optimized and ranking for your keywords in the Google in the first position. This means, of course, that excellent SEO might just be your smartest investment when you’re developing your online business. Both Shopify and Wix have built-in SEO settings, which makes your life a whole lot easier. You can let the platforms do all the work for you and have the systems create metadata on their own, or you can choose to keep it on a stricter leash and write it out yourself. When new content is created (by either you or the platform), both of the systems ping the search engines. For SEO, instead of using expensive tools. you can use add-ons from Shopify and Wix. These tools are quite good. You can analyze everything about your site. Of course, you can opt for a fourth option as well: hire an agency specializing in SEO for e-commerce businesses to take care of everything for you. If you have a big budget and you want to spend money to make your site stunning you can go with Shopify. As Shopify provides a vast variety of options for editing. But many of them are costly but worth of the price. They have best customer support which will help you in every step. And they will help you to create a stunning e-commerce site as well as a stunning blog. So, if you have a big project for your money site. Then, Shopify will be a good choice. Wix certainly sports a good offering and is an awesome choice for beginners and those who have little to no experience as developers and designers. However, Shopify made e-commerce its focal point from the start, and it’s been around for a fair while. It has already established itself at the top of the e-commerce platforms world, and it’ll be very difficult to push them off that throne.